IKS Locksmiths offer a comprehensive lock fitting and lock installation service for both residential and commercial customers. Working in the security industry, trust and safety go hand in hand. That’s why we go the extra mile to earn your trust so that we can ensure your safety. When it comes to fitting locks, it is essential to achieve the right balance between security and ease of use. Part of our specialist service is to advise and consult each customer on the most appropriate solution for your particular needs and requirements. In order to maintain our high levels of service, we always stay abreast of the latest innovation in lock technology. IKS Locksmiths fit only the highest quality locks. We work with all the major lock brands and install each lock to the standards recognised by the Police and insurance companies. No matter how big or small the lock repair job, you can be sure that our Locksmiths carry out every task with the same efficiency, reliability and professionalism. 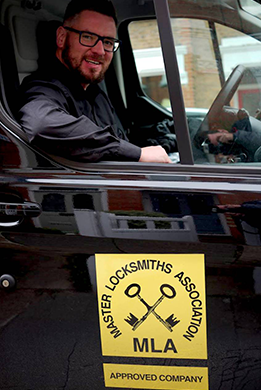 Operating across North London, South Hertfordshire and surrounding areas, IKS Locksmiths can reach you at any time of day or night to take care of your security needs. Our 24 hr service means you can contact us 24 hours, 7 days a week on 07947 426 981.